A database for the actor/technician - terms, words and commands the actor/technician will meet in his/her career. 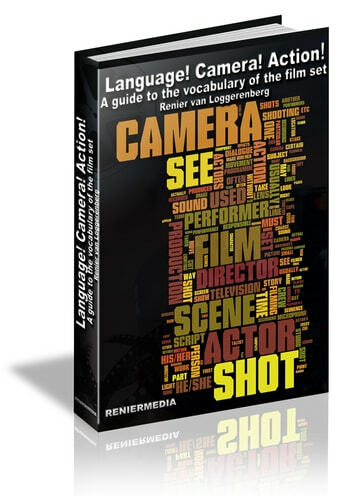 This dictionary consists of essential vocabularies of key terms, script abbreviations and common slang used in the film and television industry. This glossary is intended to create a background to the technical vocabulary the actor or technician is sure to meet on set. 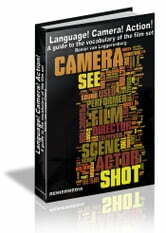 Useful on its own for all levels of film and television communication. The Maasai tribe of Eastern Africa are arguably the most spectacularly photogenic people on the planet. Yet this tribe believes that if one films or photographs them, one steals a part of their souls that will be lost to them forever. I believe a similar situation exists for the film actor: a part of his/her psyche will be captured on celluloid or magnetic tape for the duration of the specific medium's life. In other parts of Africa the locals will dress up in either their Sunday-best for tourists, or rags for the media, both for a fee. This is not to be confused with the real despair that engulfs Africa, these are not the desperate ones, this is business. The film actor operates somewhere between these extremes, somewhere between giving up a part of his/her soul for the camera, and brazenly selling his/her photographic presence as a commodity. The premise of this study is that film acting is one of the simplest crafts in the world, in the sense that the actor has only to appear natural and believable in front of the camera. On the other hand, this study will show that dealing with all the technical demands associated with the craft makes it one of the more complex crafts to master. This guide hopes to help clear some of the bewilderment and ignorance of the new actor/technician in understanding the words used in this most demanding of media. Time and again it has been pointed out to me that many student actors/technicians do not have a guide to help them in negotiating the obstacle course that is modern film and television. Hence this study. A fairly ideal situation is surmised, whereby the actor/technician will be intelligent, sensitive, persevering, talented and above all, lucky. The serious student or lecturer should find that although a lot of the information seems obvious, they may benefit from the more or less logical fashion of organisation. I presume that the reader of this book will be au fait with some of the terms used in it. This comprehensive glossary is specifically for the acting hopeful and professional and also as a general guide for any other film or television professional. Excluded from it are specific related but not crucial terms such as 'in-betweener '(a person who draws the sketches between the main movements in an animated film) and other related terms which would turn this study into too bulky a dictionary. I have chosen to describe only those terms and professions which the actor /technician might meet at the start of his/her career. Please refer all queries regarding consulting, teaching, changes and omissions to renierv@aol.com The glossary describes terminology used in the film and television industry of today. It is part of the 'toolbox' with which this study hopes it can equip an actor to find work and keep on working in a demanding medium. Newer terms like inter-active video and cd, non-linear editing, morphing, etc have been included to a lesser extent since this study is concerned with the actor and the techniques of this craft and not necessarily with the complete craft of film-making..The film medium has specific requirements that must be taken into account when working in it. The actor must be so familiar with these requirements that he/she automatically takes them into account so that he/she can focus on giving a good performance. Concentrating on the technicalities instead of the performance will definitely detract from the performance. Ähnliche Bücher wie LANGUAGE! CAMERA! ACTION!